Nick Cassidy will take a four point lead into the final round of Japan’s Super Formula at Suzuka next month after finishing fifth in a chaotic race at Okayama on 9 September. The 24-year-old Aucklander in his turbocharged Toyota powered Dallara and the rest of the field spent more time behind the safety car and under full course yellow flags in the rain shortened event which only managed 34 of the scheduled 54 laps. Because the race did not complete enough laps in its two hours duration, only half championship points were awarded, but Cassidy has extended his advantage over defending champion Hiroaki Ishiura, who was seventh and the other closest challenger Naoki Yamamoto who came tenth and did not gain any points. 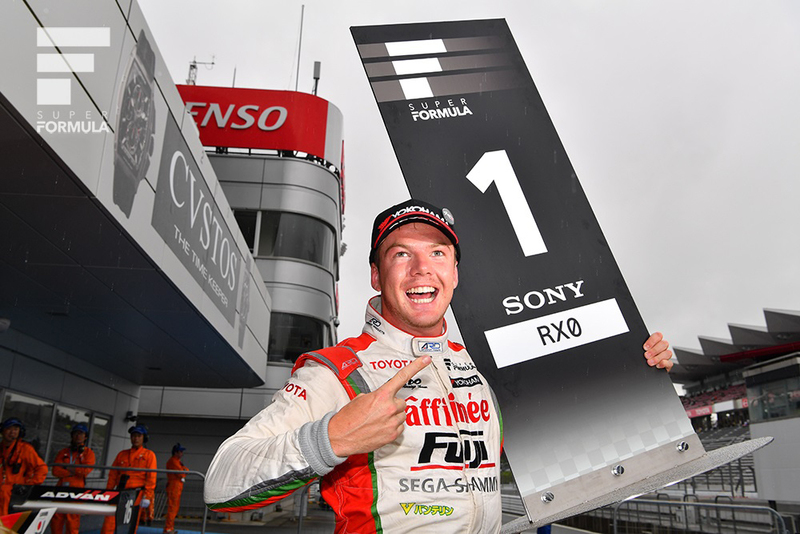 The triple New Zealand Grand Prix winner and double Toyota Racing Series champion said he wanted to go racing, but was happy to extend his lead in Japan’s premier single seater series. When the race started, the field completed seven slow laps behind the safety car in heavy rain before the red flag came out. Following a one-hour delay, the cars again moved off behind the safety car, which eventually pulled off after 14 laps when the race went green. Cassidy maintained his fifth place from qualifying with the difficult visibility in the still wet conditions. The race was twice yellow flagged as other drivers slid off the track and after just 40 minutes of actual racing the chequered flag came out as the race reached its two-hour time limit. The field was again under yellow flag, no passing restrictions from another incident. Cassidy’s attention now shifts to the sixth round of the Super GT championship, which he also leads, at Sugo next weekend.